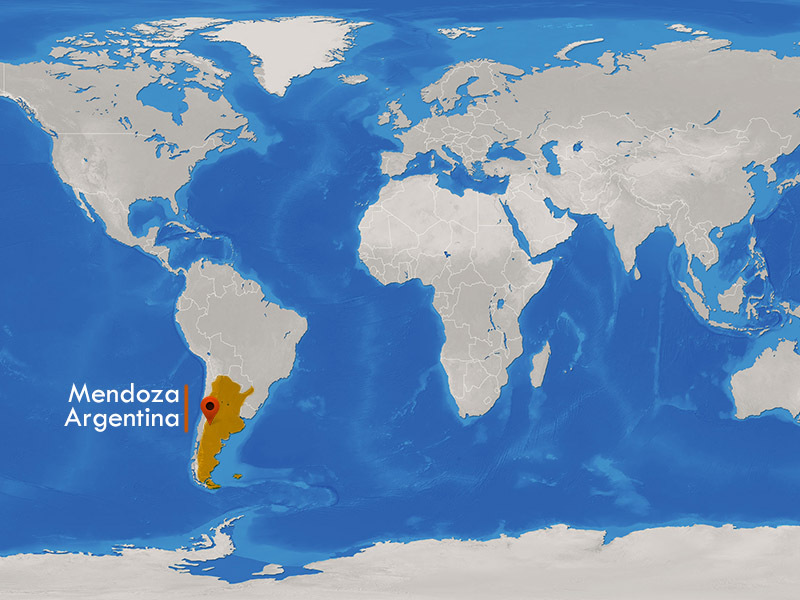 Aconcagua is entirely located within the Republic of Argentina, province ofMendoza, Department of Las Heras. It does not create an international boundary. Its coordinates are 69-59 Longitude West and 32-39 Latitude South. 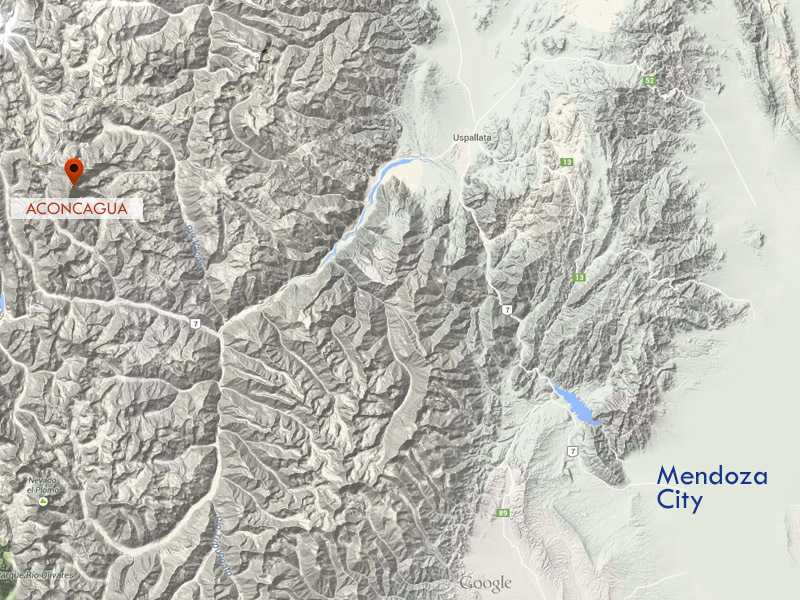 It is situated within the Provincial Park of Aconcagua. It limits to the West and Southwest with the Valle of the Lower Horcones. On the East and North it is limited with the Valley of Cows (Valle de las Vacas). Around Aconcagua various peaks rise and surpass 5000 meters. In the Valle of the Upper Horcones (Valle de los Horcones Superior): Mt. 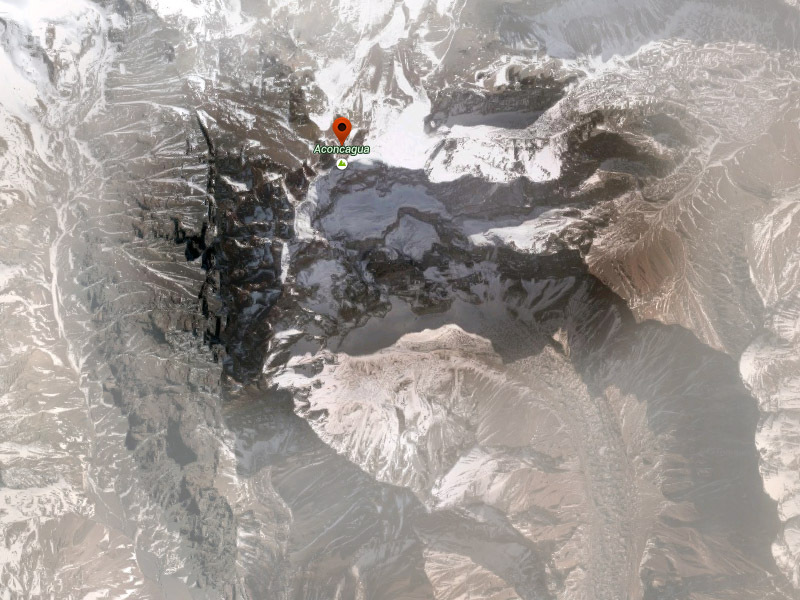 Cuerno (5450m), Mt. Catedral (5200m), Mt. Bonete (5100m) , and Mt. De los Dedos (5000m) are found in the Valle of the Lower Horcones: Mt. Mirador (5800m), Mt. Ibañes (5200m), and Mt. Almacenes (4800m) . and in the Valley of the Cows (Valle de las Vacas) Mt. Ameghino (5800m), Mt. Fitz Gerald (5300m), and Mt. Santa María (5100) and all of the mountains that form the “Cordón de los Penitentes” are found.